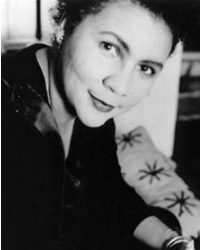 First-generation college graduate bell hooks (b. 1952) has gone on to become one of the post influential feminist scholars of our time. The ’80s and ’90s saw colleges across the country designating dorm space — a floor, a wing or, in some cases, an entire building — as race-/ethnicity-based theme housing. Some students welcomed these options as opportunities for building connections with others with similar heritage. Others saw race-specific housing as modern-day segregation. Nevertheless, race-based theme housing is now a feature on many college campuses. One of the main arguments that colleges give in support of race-specific housing is that it decreased the isolation that many students of color feel on majority white campuses. In the 21st century we are hearing much the same concern from administrators about students from economically marginalized backgrounds, especially those who are the first in their family to attend college. According to the Pell Foundation, only 11% of entering first-generation students will ultimately graduate from college, and isolation and the feeling of being an outsider are two key factors in this high attrition rate. If Gen-1 house can increase the graduation rate for first generation college entrants, than I hope (and expect) to see other institutions adopt the same approach. Still, Gen-1 house does have the same drawbacks identity-based theme housing (from race to gender to religion). When I think back on my own college experience, I cherish the memories of making strong bonds with other Black students. But I also learned immense amounts from — and built close and lasting friendships with — students whose life experiences were far different from mine, in terms of class and race, religion and geographic region, and too many other characteristics to name here. But then again, maybe it’s hard to take pleasure in the diversity of experiences and backgrounds on your campus when the things that so many of the other students share — a seemingly inherent sense of entitlement to all of the opportunities that the university has to offer and the complete absence of doubt about whether or not they are “college material” — just reinforces your own feelings of uncertainty and isolation. To read more about U Cincinnati’s Gen-1 Theme House, follow any of the LINKS in this post.